The key to winning the 2008 presidential election was winning Florida. And a key to winning Florida was swinging the elderly Jewish vote. Droga5 created an online grassroots movement that armed grandkids from all over the U.S. with facts about Obama, and encouraged them to "schlep" to Florida to educate their grandparents about his politics. 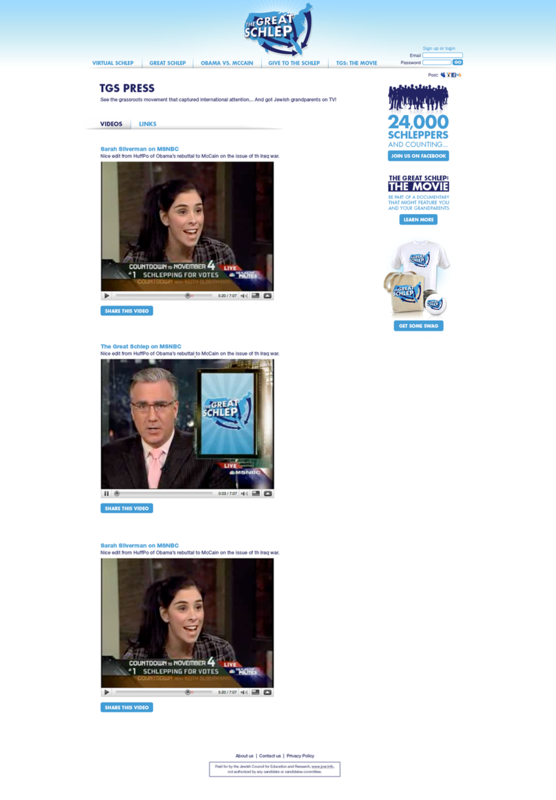 A viral film hosted by Sarah Silverman, a re-designed JewsVote.org, Great Schlep Facebook groups and tons of Great Schlep-branded merchandise was created to support the vote.